The Columbia Men's PFG ODX™ Hybrid Jacket features PFG™ and OutDry™ technologies. The Columbia Men&apos;s PFG ODX™ Hybrid Jacket features PFG™ and OutDry™ technologies. Technical features and superior function are the foundation for Spring 2011 Performance Fishing Gear. From the eye of the storm to the midday heat, Columbia&apos;s got you covered. PFG helps you enjoy the elements so you can stay out longer. Traditional waterproof gear utilizes seam-sealed, waterproof fabrics. This results in a floating inner, and allows water and debris to stagnate between layers, making the shoe or garment feel cold and heavy. On the other hand, OutDry features a patented lamination process that bonds an absolutely waterproof membrane directly to the garment&apos;s highly breathable outermost layer. Water is sealed out at every possible entry point, giving OutDry gear a superior fit that stays dry, warm and comfortable. 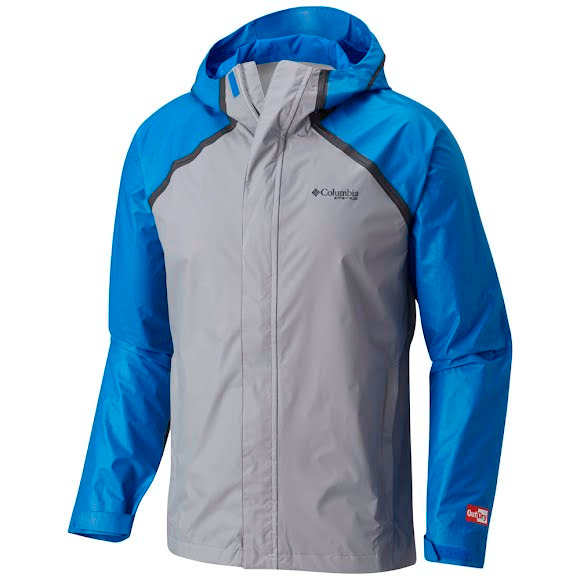 Outstanding deal on this lightweight rain jacket from Columbia. High quality materials and construction and and excellent fit for active use. I bought this jacket for carrying on fishing excursions but love it so much I keep in my vehicle for everyday use.